ABUJA—THE Senate, yesterday, raised the alarm that the 19 Northern states of the federation were under serious threat due to drug abuse, stating that over three million bottles of codeine syrup were consumed daily in Kano and Jigawa states. It disclosed that across the 19 states, women, young girls in tertiary institutions, working class ladies, married, unemployed women displaced by Boko Haram insurgency, among others, were involved in drug abuse, and that in 2015 alone, over 2,205 people were arrested in North-West geo-political zone by the National Drug Law Enforcement Agency, NDLEA, over drug-related abuses. Consequently, the Senate mandated its Joint Committee on Drugs and Narcotics and Health to investigate the growing menace of cough and other prescriptive drugs abuse and report back to the Senate on the needed legislative interventions to combat the trend. The senators stressed that secondary school students consumed cough syrups regularly. The Upper Chamber also asked the Federal Government to partner with relevant stakeholders, states, local governments, traditional rulers, Pharmacists Council of Nigeria, NGOs, to create a holistic framework to fight this category of drug abuse, especially in the North. The Senate’s resolutions, entitled The Need to Check the Rising Menace of Pharmaceutical Drug Abuse Among Youths Especially in Northern Nigeria, were sequel to a motion by Senator Baba Garbai (APC, Borno Central), co-sponsored by 37 other senators. The Senate also mandated the Ministry of Health to provide rehabilitation centres or clinics where victims of drug abuse would be rehabilitated where necessary, and urged the National Agency for Food and Drug Administration and Control, NAFDAC, to embark on a vigorous sensitisation campaign on the dangers of drug abuse and steps in achieving a successful rehabilitation for people with the addiction. In his remarks, the Senate President, Dr. Bukola Saraki, who presided, said the Senate will take necessary actions to reduce the growing menace. He also promised that the Senate will strengthen the NDLEA Act to make the bench become very effective. 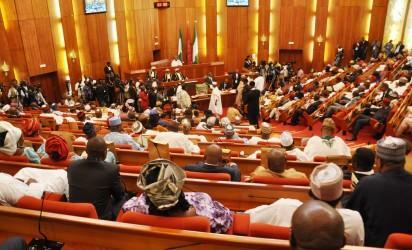 Saraki said: “I want to commend lawmakers for their contributions. This is becoming a big issue for the country. Yesterday, I had the chance of meeting with pharmaceutical practitioners. We need to amend the NDLEA Act to reflect the current realities. The post Drug Abuse: 3m bottles of codeine consumed daily in North— Senate appeared first on Vanguard News.